Below you can view all the homes for sale in the Great Lakes subdivision located in Decatur Georgia. 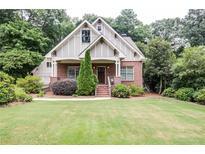 Listings in Great Lakes are updated daily from data we receive from the Atlanta multiple listing service. To learn more about any of these homes or to receive custom notifications when a new property is listed for sale in Great Lakes, give us a call at 404-998-4097. Walk To Decatur Square Shops & Restaurants, Glenlake Park, & The Ymca. Brilliant! MLS#6538791. Keller Knapp, Inc.. Impressive Stacked-Stone Fireplace In Open Den/Kitchen Concept + Sunny Breakfast Room And Screened Porch; 4-Sides Brick; Hardwoods & Old-World Period Molding Throughout; Carriage House W/Guest Suite (Bed/Bath Reflected In Lower Level Count); Oversized Master Suite; Additional 3 Bedrooms+2 Bathrooms Up; Butler'S Pantry; Mudroom; Built-Ins; Flex Room On Main Floor/5Th Bedroom; Expansive Flat Rear Lawn; Stone Hardscaped Piazza Affords Additional Parking. Impeccably Kept By Sole Owners. MLS#6534780. Atlanta Fine Homes Sothebys International. 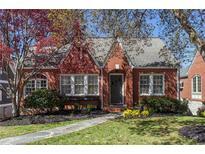 This Tudor Is Complete With Finished Basement, Covered Front Porch, Rear Screened Porch, And Ample Storage. MLS#6535986. Compass. The Tiered Deck, Delightful Patio, Generous Backyard And Storage Shed Round Out This Incredible Home. MLS#6524435. Keller Williams Realty Metro Atl. 2 Car Attached Garage In Fab. Great Lakes & City Schools MLS#6516550. Atlanta Fine Homes Sothebys International. Short Walk To Schools And Downtown Decatur. MLS#6085974. Golley Realty Group.